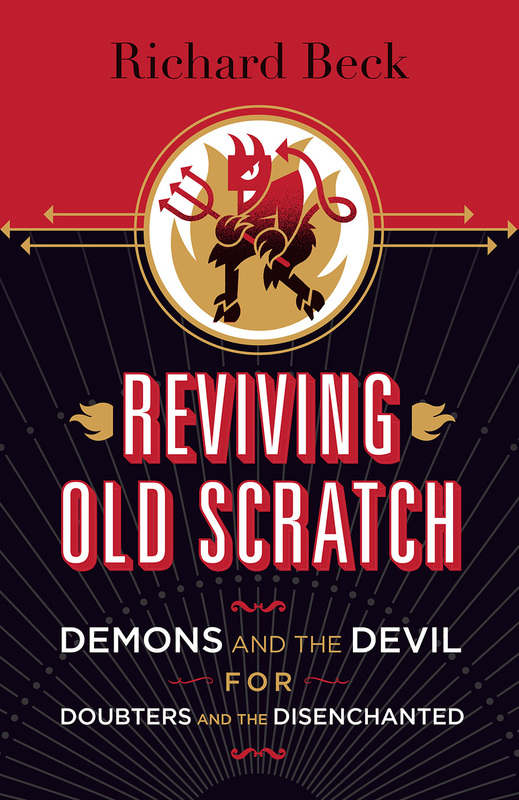 My fourth book Reviving Old Scratch: Demons and the Devil for Doubters and the Disenchanted is out next week. 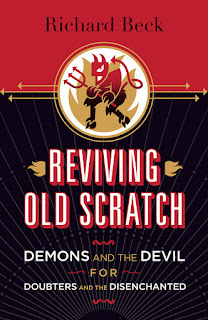 While the book is for everyone, it's especially a book for progressive and liberal Christians who struggle with believing in the devil, demons, angels and spiritual warfare. One of the arguments of the book is that, despite all our doubts about the existence of the devil, liberal and progressive Christians need to recover a vision of spiritual warfare. Because when you lose track of the Devil you tend to lose track of Jesus. Recently, another example of this occurred to me, too late to be included among the examples I share in the book, so I'd like to share it here. The observation is this: You need the Devil if you want to read the Bible well. When liberal and progressive Christians read the Bible we talk a lot about reading the bible with a Christological hermeneutic. Basically, we read everything in the bible through the lens of Jesus, and if a particular reading of the text doesn't fit with Jesus we reject that reading as false. This is well worn territory. But the point I'd like to make is that you can't have a Christological hermeneutic if you don't have a Devil. A Christological hermeneutic is necessarily a satanic hermeneutic. Which puts liberal and progressive Christians in a bind given our doubts and skepticism about the existence of the Devil. Again, you can't have a Christological hermeneutic if you don't have a Devil. One of the biggest reasons progressive and liberal Christians adopt a Christological reading of the bible is the genocidal violence in the Old Testament. That violence is hugely problematic. Fortunately, that violence doesn't look a whole lot like the Jesus who preached "love your enemies." So it's often assumed--too quickly assumed--that a Christological reading of the Old Testament allows you to get around the violence of the Old Testament. But the problem with many of these too-quick and too-easy Christological readings of the Old Testament is that they become Marcionite by introducing a huge moral wedge between the Old and New Testaments. The violence of the Old Testament, in light of a Christological reading, is judged as bad--wicked and evil, even. Which is theologically and hermeneutically problematic given how that violence is connected to God in the narratives. What we need, to avoid Marcion-like readings of Scripture, is a way to see something good and holy in the violence of the Old Testament, something good and holy despite that violence being also wicked and evil. That's a hard trick to pull off. And that trick is the Devil. How did Jesus read the violence of the Old Testament? Jesus didn't read that violence as the zealots read it, as a call for holy war against the Romans. Jesus didn't read the violence of the Old Testament literally. 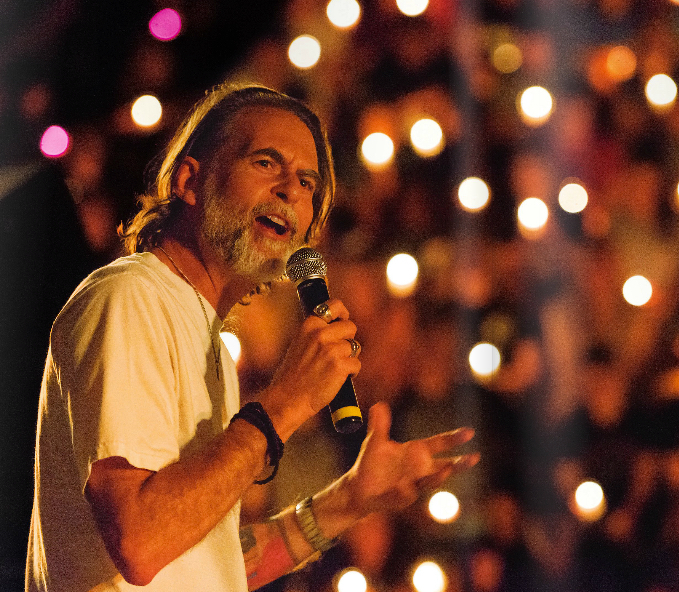 Jesus shifted the battle to another plane. Jesus directed violence away from human enemies toward a spiritual antagonist, toward the True Enemy. The battle was against the Satan, not the Romans. That's the reading of the Old Testament--the satanic hermeneutic--that got Jesus to "love your enemies." It's the same Christological reading of the Old Testament used by the church fathers as well. The moral problems thrown up by the violence in the Old Testament are not new. It perplexed the early Christians as well. See Marcion himself as an example here. So all the modern hand wringing about the violence in the Old Testament among progressive Christians isn't a new thing. The church has been thinking about this for a long time. But the big difference here is that the church fathers believed in the Devil and modern progressive Christians, by and large, do not. The church fathers were able to stay in moral contact with the Old Testament because they read that violence as mistaken, yes, but also containing a spiritual, allegorical truth, that the Kingdom of God is in a battle with the spiritual forces of darkness. To be sure, throughout church history those spiritual forces of darkness got tragically re-aligned, over and over again, with actual human beings, drawing the violence away from the spiritual realm back down again into the arena of flesh and blood. 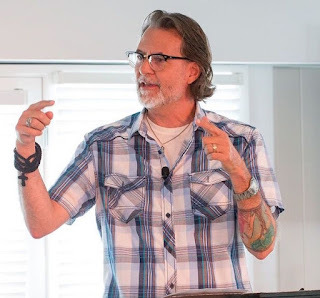 But we recognize all this as a failure of the Christological hermeneutic, as a clear violation of Jesus' call to love our enemies and turn the other cheek. The real battle, the Christological hermeneutic tells us, is never against flesh and blood, but against the persistent and insistent satanic temptations to kill each other. The battle against those satanic temptations is the battle Jesus called us to fight. That's what Jesus meant when he said "Get behind me, Satan!" to walk the road to the cross. In short, a Christological reading of the bible requires the Devil. For both Jesus and the early church, a Christological hermeneutic was necessarily a satanic hermeneutic. But doubting the devil as we do, this satanic hermeneutic is what a lot of progressive and liberal Christians lack. Which means that progressive and liberal Christians can't read the bible Christologically as they'd like to, as Jesus and the early church did. It's like I said, lose track of the Devil and you lose track of Jesus.